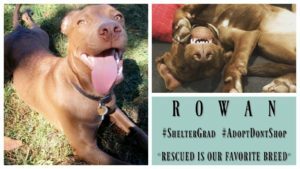 Dog Rescue Stories: Piper Makes Her Parents Proud! 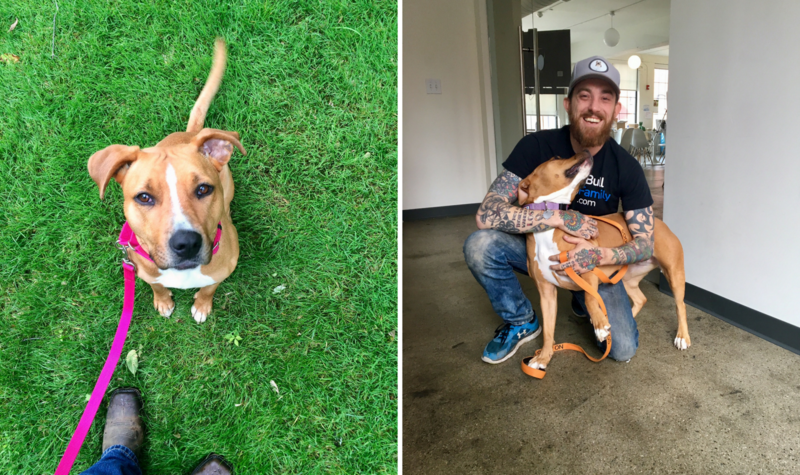 Piper was found on the streets of Cleveland in January 2015 (yes, winter! snow, very cold, all alone) and taken to the City Dogs Cleveland facility. Piper has two speeds: 0mph or 100mph, which I think worked against her at the kennel. Volunteers said she was very “high energy” which I’m sure may be a turn off for potential adopters. I saw her initial Facebook photos on the City Dogs facebook page, and fell in love IMMEDIATELY! I told my mom and then boyfriend, I MUST adopt this dog. They thought I was crazy but I persisted and pursued Piper. 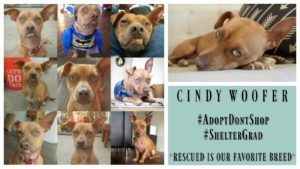 Each week, City Dogs would post her adoption information. Selfishly, I hoped she would not get swooped up by a different family before I was able to adopt her (I had to wait until I moved into my own home a few months later, in June, as I was living at my mom’s house (she has an older dog that would not do well with a new addition). Social Media is a great tool, as I met my now husband online and also our Piper! We met our two soulmates, as crazy and weird as it seems, I wouldn’t change it for a second! On June 28, 2015 we officially adopted Piper and she has been the perfect addition to our family ever since. I know most dogs need a decompression time, but it seems from the second we brought her home she knew it was her forever home. We’ve brought her on a road trip from Cleveland to Austin, TX. She’s been around my friend’s young children, whom she LOVES and is so stinkin’ sweet around. Piper seems to act sad (and/or exhausted) after we leave the kiddos, as she loves the attention and cuddling (and nap time!) she gets with them. Piper is NOT a certified therapy dog (nor do I ever try to pass her off as one), but she comes to the nursing home on a weekly basis to visit my father, who had a stroke almost six years ago. 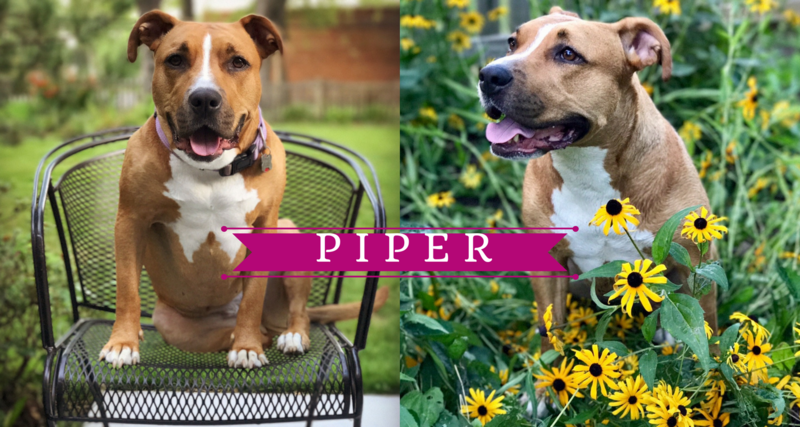 She brings a smile to the residents’ faces, and they feel Piper’s love and kisses. Often times they share stories of their own pets, which usually brings a smile to their face. My dad absolute loves seeing her zoom around in the courtyard, running like a crazy dog, jumping over bushes, etc. Then she comes inside, sits next to his wheelchair, and lets him pet her FOR-EV-ER (as if she gets zero attention at home…). She is the most gentle, playful, loving, magnet dog I have ever had and often times, we cannot believe she survived being alone in the streets during winter. She must ALWAYS be around us (using the restroom is now a team sport). She is always down for a cuddle or play session (can flip on her turbo speed zoomies at any time with the BOOP of the nose!). When people ask “what kind of dog is that?”, we PROUDLY say “She’s a rescue pittie!”, as she’s a great breed ambassador (I know, what are Pit Bulls? usually just classified as any boxy-headed dogs!). 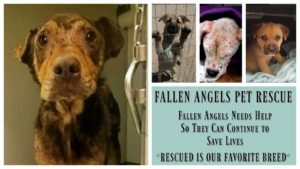 At City Dogs, we have such a great community of humans and dogs, working together to help all of Cleveland’s adoptable dogs find their forever home and support ($) City Dogs efforts to do so. City Dogs facebook account (link below) has over 16,979 followers! 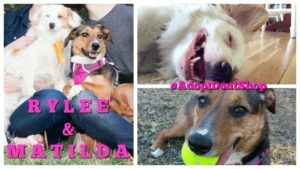 And we have an “adopters” group to share photos and ask advice to each other. It’s such a great network of Cleveland dog lovers. From finding durable toys to finding caring Veterinarians, it’s such a great resource. welcome to my official Instagram page!